Posted: Friday 30th October 2015 in Owned and earned media, Thought Leadership. Content Marketing has become a huge area of focus for both brands and agencies, with ever more resource being devoted to content production and distribution. With what seems like an overwhelming amount of content on the net, and conflicting views about what makes ‘good content’, it seems we may be in danger of losing the rationale and motivation behind what we are doing and hence losing its value to the customer. More to the point, what actually constitutes ‘good content’? According to Sturgeon’s Law, 90% of everything is rubbish, so how do we stop that applying to marketing and content? At Google’s 17th Firestarter event earlier this year, we heard from specialist speakers on the topic of content complexity and the question of whether we are in danger of becoming awash with content production. According to renowned Creative Director, Dave Trott, complexity and technology are destroying creativity. Content teams are starting to lose focus of what their jobs are and what they are actually producing content for. Are they SEO Writers, Content Marketers, Content Strategists, Brand Marketers, Editorial Planners or Creative Writers? If it’s confusing for us, you can see how it could get confusing for clients and customers too! The average person is said to be exposed to over 200 advertising messages every day, 89% of which are forgotten instantly. This means that collectively over £17billion is being spent and wasted each year on producing ineffective content. To demonstrate this, Trott asked the audience during the Firestarter event to remember an advert or piece of marketing they had seen that week. Out of the 150 in attendance, only 6 people could remember and explain an advert that they had seen; 96% of the content had been forgotten. Being different definitely brings creative advantage, but in addition to this, the most effective content is obvious, clear and doesn’t try to be clever or complex in its messaging. As another example to prove this, Trotte asked the audience who was the 44th president of the USA. 1 person out of 150 raised their hand. He then asked who was the first black president of the USA. A unanimous show of hands. The answer to both questions is indeed Barak Obama, however, by stating the obvious (question 2), and not trying to be too clever (question 1) people can relate to the messaging and understand it instantly, hence they are more likely to remember it. The second speaker of the evening was Doug Kessler, MD of content agency Velocity Partners, with clients including Cisco and Kimberley Clark. According to Kessler, gaining the trust of a reader is solid gold, and nothing achieves this quite like a tactic known asinsane honesty. Simply described, insane honesty involves volunteering your brand’s weaknesses, without being asked, and openly discussing them. The three brands above have highlighted their weaknesses entirely openly; being ugly, being second best – these are not tactics you would typically expect to see brands using to market themselves. 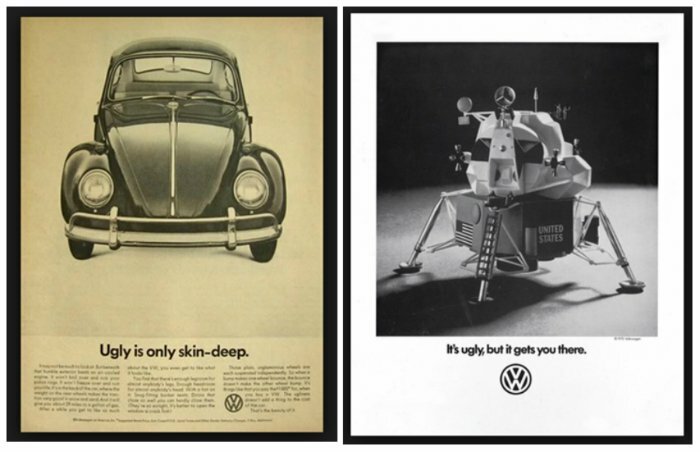 But these ads encourage the viewer to feel an emotion towards the brand, and most importantly, they are remembered and talked about. But, when there is a risk of exposing weakness directly to customers, why should brands dare to be so honest? So, to return to our initial question, are we in danger of become awash with, and consequently devaluing, content? Well the answer, quite simply, is yes, but this creates an even more exciting challenge for content teams to work with brands to create engaging content that does create an impact to viewers and that will be remembered instead of the competition. We can be among the 11% that is remembered if we put our minds to it!